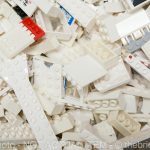 Why Buy Bulk LEGO From The Brick Bank? Tons of Colors and Lot Sizes. Bigger/Smaller Lots of This Item. Clear / Translucent / Transparent. We’re Here to Help, Just Ask. The pictures shown in this listing are STOCK PHOTOS and NOT the actual item you will receive. 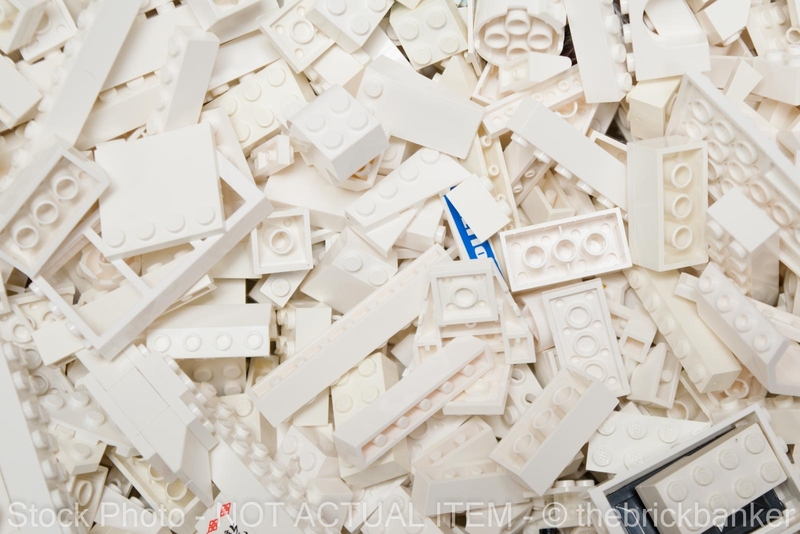 They are provided as a general example of the types of LEGO that you are purchasing, but the lot you receive will be RANDOM. 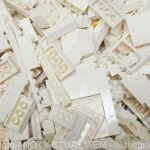 We have found that used pieces of this particular color have a greater tendency to be discolored when compared to other LEGO colors. 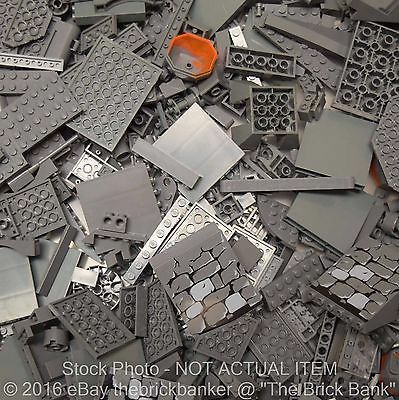 This is something that could be reasonably expected from any seller of used LEGO. While we do our best to remove the most significantly discolored pieces, the buyer should expect a greater degree of color variability in this lot as compared to the other color specific lots that we sell. 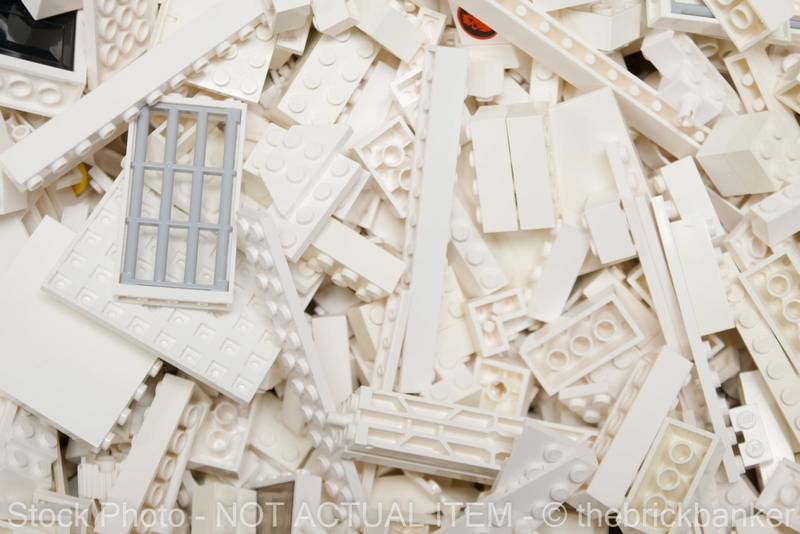 If this is unacceptable for your particular application, it is suggested that you should consider purchasing brand new LEGO pieces from one of the other quality sellers on eBay. 14 lb = 224 US Ounces. Keep in mind that this listing is for a certain weight of LEGO and not any specific number of pieces. That being said, a good estimate for this lot is around 4,850 to 6,350 pieces depending on the exact ones that get included. 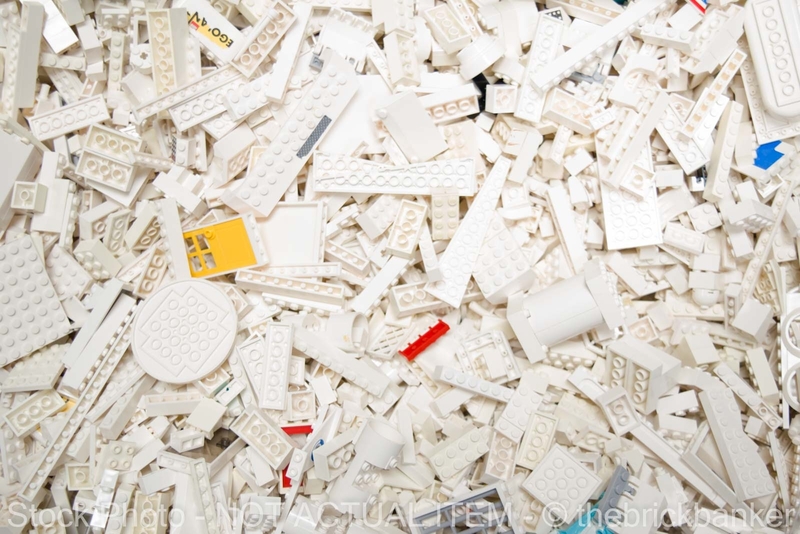 In all cases the actual number of pieces will vary. 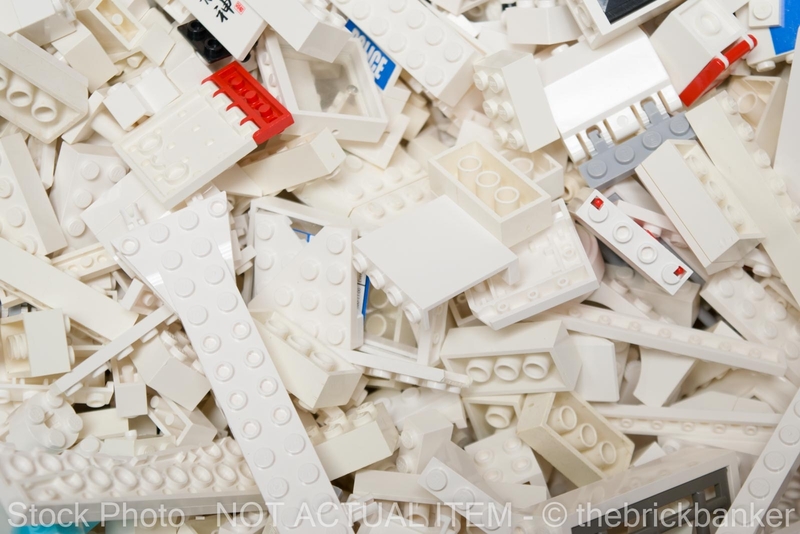 100% genuine LEGO pieces in great used condition. Cleaned, sanitized, and ready to build. At least 99% of the pieces will be in the color(s) listed above. 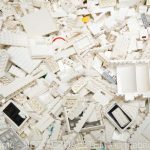 The only pieces that you may receive that aren’t in these color(s) would be something like a connected hinge piece of a different color, a door in a frame, a window pane in a frame, etc… We try to keep these related elements together. 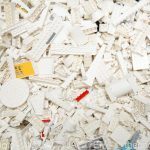 Some of the pieces may have (LEGO original) stickers or decals. In general the bigger the lot the greater the overall variety. In addition, larger lots tend to have some of the larger sized pieces that we can’t include in the smaller ones. 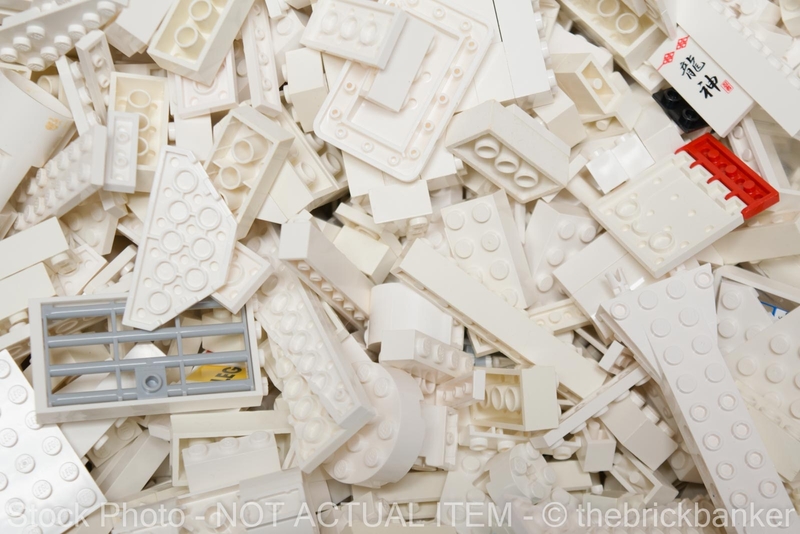 Mostly “general” LEGO stuff, like blocks, bricks, plates, specialty parts, etc. – things that integrate with the standard building system. If and/or when they are included we do our best to match all pairs of wings, hinged pieces (4 dot and up), arches, quarter pieces, cylinder halves, doors and frames, window panes and frames, etc. We can’t make a 100% guarantee on this, but it should be pretty darn close! 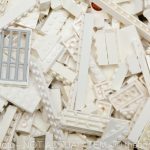 There may be a couple of Technic pieces included, but only those that interact with standard LEGO pieces (such as bricks and plates, not pins, axles, gears, etc.). 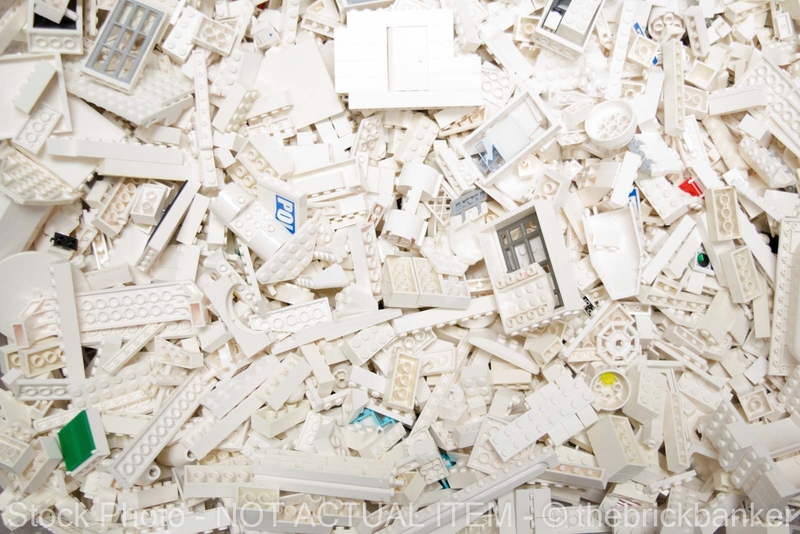 All of the LEGO pieces shown in the above pictures. 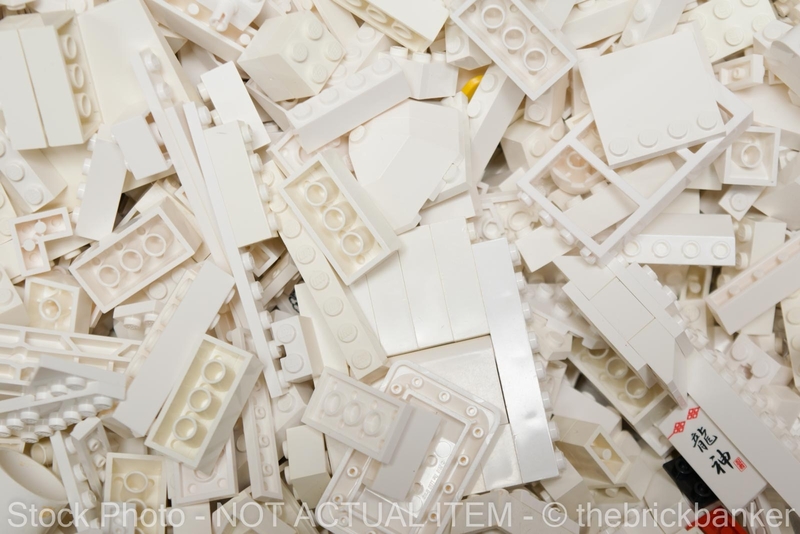 These are provided only as a general example of the types of LEGO that you will be receiving. 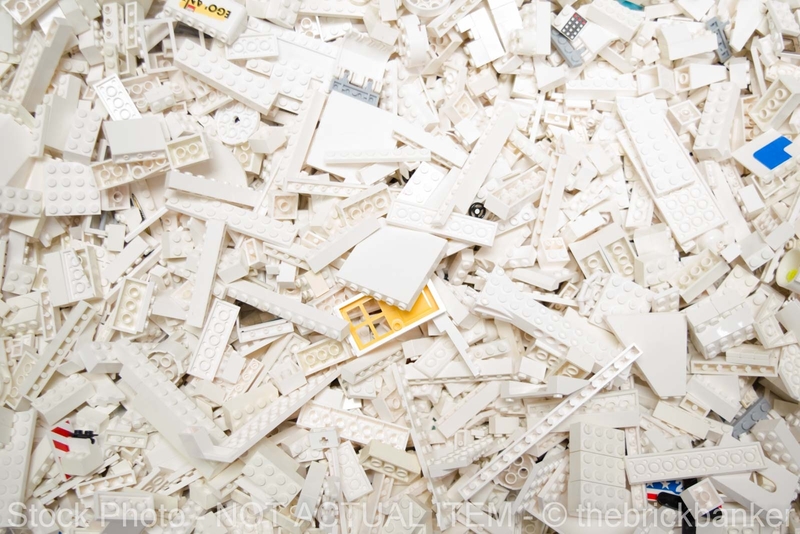 Non-LEGO pieces (made by companies such as Mega Bloks, Tyco, Kânex, BTR, etc.). Other types of toys or junk. 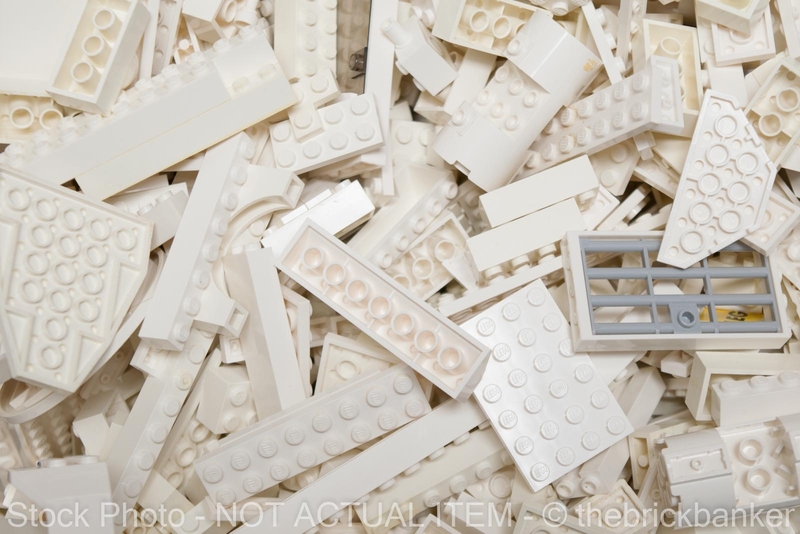 Damaged LEGO (broken, chewed, chipped, significantly discolored, etc). Bionicle or Hero Factory type pieces. Translucent Pieces (unless connected to something else, such as a window in a frame). 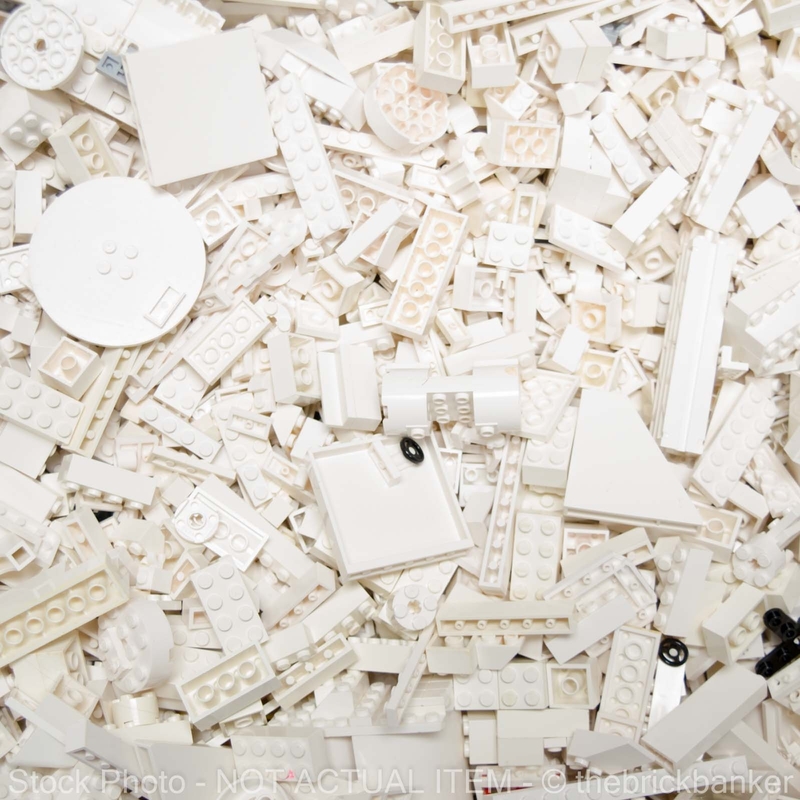 How many pieces are in a pound of LEGO? 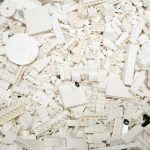 Estimates vary, but we say a reasonable piece count for standard LEGO pieces is between 350 and 450 pieces per pound. However, specific types such as wheels, Bionicle, Technic, etc. may vary considerably from this amount. 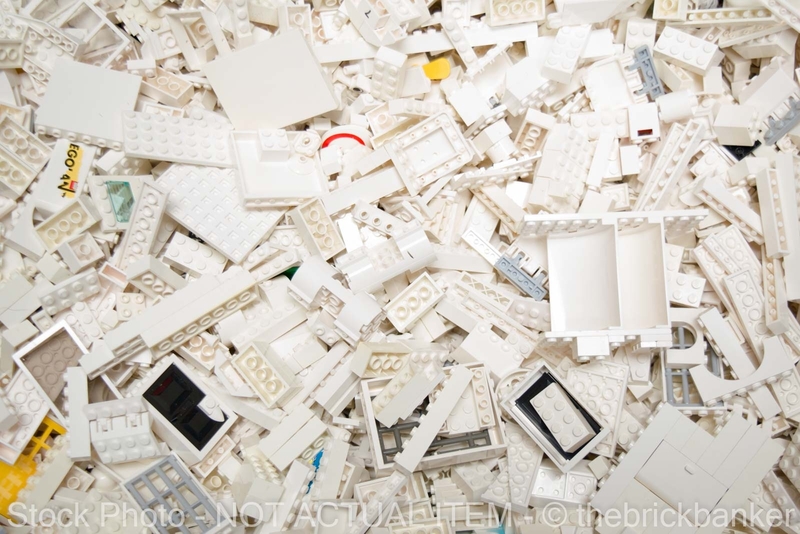 How much space does LEGO take up? About 2 pounds fits into a 1 gallon Ziploc bag, fully closed. About 5 pounds fits into a USPS medium flat rate box. About 8 pounds fits into a USPS large flat rate box. However, specific types such as wheels, Bionicle, Technic, etc. may vary considerably from this amount. Do you make custom lots and/or can you pull specific pieces? Unfortunately at this time we only offer random lots. We do a lot of volume in a limited amount of time, therefore we are unable to accommodate special requests. Your store has listings for “Old” Grays and Browns and “New” Grays and Browns. What’s the difference? 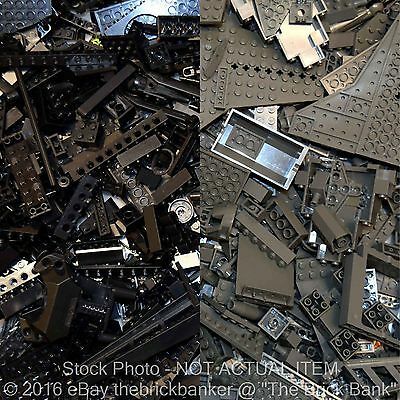 Prior to 2004, in their standard color palette LEGO primarily produced two gray colors and one brown color. These were commonly known as “Light Gray“, “Dark Gray“, and “Brown“. Beginning in 2004, these colors were updated with a more “modern” look. The grays received a noticeably bluer tint and brown became more reddish. “Old Brown” (official LEGO name: “Earth Orange”). “Reddish Brown” (aka “New Brown”, official LEGO name: “Reddish Brown”). Although the shades are very similar, when they are compared side-by-side the difference is quite noticeable and therfore both shades can be found as different listings in our store. 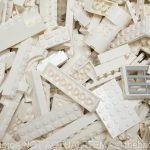 In your store I see listings for “LEGO Compatible” pieces that are very inexpensive compared to your other listings. What are those? 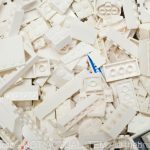 Genuine LEGO brand bricks (meaning that they are produced by the official LEGO company) have an almost cult-like following from builders around the world. 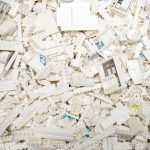 These collectors are devoted to LEGO and only LEGO, which drives up the price that the LEGO company can charge their customers. 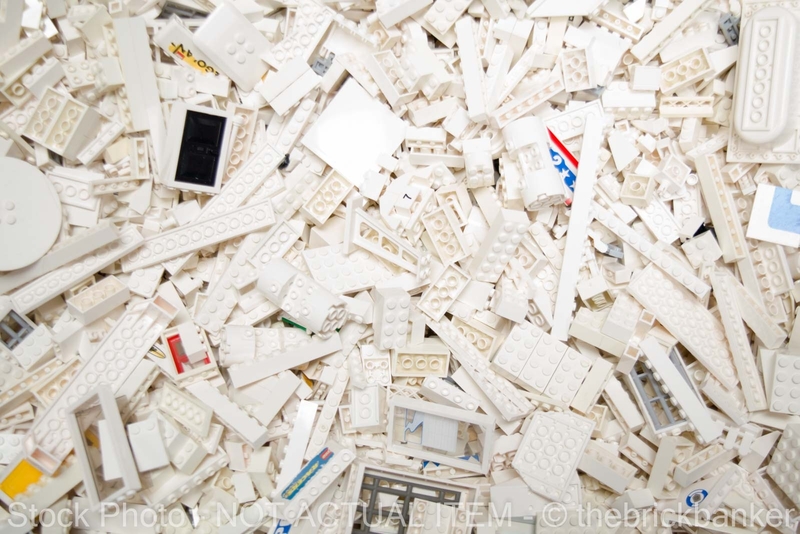 In the meantime, there are several companies that compete with the LEGO company (Mega Bloks, Tyco, BTR, etc.) 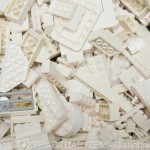 and produce similar products that are 100% compatible with the actual LEGO brand (meaning that they work just like LEGO pieces and fit with them). 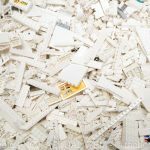 While LEGO fanatics would not be happy with these alternate items, for anyone that is just looking for building toys for themselves or their kids to play with these are very similar to LEGO brand pieces – for WAY less money. Please pay for your item within 30 days. Unpaid item cases are automatically filed after that time-frame. All orders ship out by the next business day. Tracking and insurance is included on all packages. NOTE: We WILL combine all orders from the same buyer submitted prior to the time we ship them, including those paid for separately! Shipping via USPS “First Class” or “Priority” Mail. 1 Pound or more of LEGO in any combined order automatically ships via USPS Priority! Need it even faster? Upgrade your order to expedited shipping. 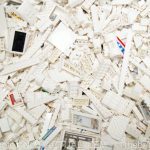 Just add all of the items that you want to your shopping cart and checkout for everything at once – the combined shipping cost will be automatically calculated by eBay! Shipping via USPS “First Class International” or “Priority International” Mail. 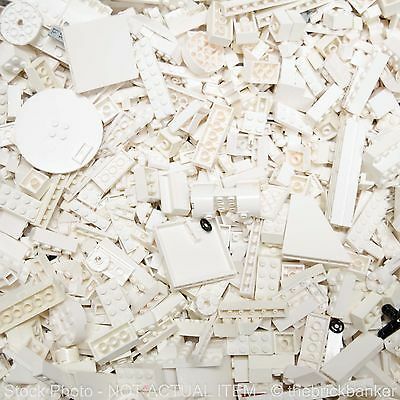 4 Pounds or more of LEGO in any combined order automatically ships via USPS Priority! We have a 60 day, no questions asked return policy. We refund any original shipping cost AND we pay the return shipping regardless of the reason. ALL returns are handled as money back – no replacements or exchanges. We will prorate the amount of the refund for any item weight that is not returned to us. ©2015 The Brick Bank. All rights reserved.